The power of the self image concept never ceases to amaze me in how it affects performance. Self image is the way we see ourselves – the way we describe ourselves in the myriad of roles we play in life. The way we see ourselves (i.e. self image) determines the way we behave and perform. It is our comfort zone in terms of which we will normally perform. For example, my self image of myself as a chess player is low – I’m not a good chess player – and I lose 90% of chess games. Do I have a problem with this? No – it is in terms of my self image. Will I do something to improve my chess playing skills? No – because I’m comfortable with my self image. Where we are required to act in conflict with our self image we experience stress. For example, an introvert as an outbound call centre agent. The bigger the difference the bigger the stress. The bigger the stress the greater the chance of under performance and health problems. The key to improving a person’s performance for positive long term results is to align his or her self image with what is required in terms of the job. 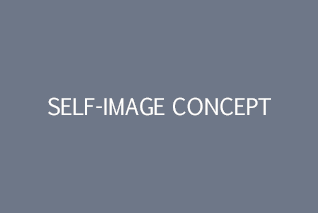 This process starts with defining the ideal self image, identifying the areas of non-alignment and putting a programme in place to change the employee’s self image. Although it is not a simple task to change someone’s self image it can be done if you know how to do it and your recipient is willing. It is deeply satisfying for us as consultants to witness as we regularly do the realisation of potential in our clients’ organisations as a result of initiating self image alignment programmes.